Electric President return for a second term after their well-received debut on Morr. The duo (comprised of Ben Cooper and Alex Kane) represent the closest thing to the shimmering, upbeat indie rock sound the label has flirted with elsewhere on its roster, and after a cursory listen you could easily think you were listening to some Death Cab For Cutie offshoot project, and certainly the first Electric President album accumulated plenty of Postal Service comparisons, partly due to those Gibbard-esque vocals, and partly because few other bands wrote electronic pop songs in that vein so well. Songs like 'We Will Walk Through Walls' are far more difficult to classify, with a sound that's somewhere between the experimental melodic quirk of Animal Collective, and an approach to balladry that teeters on crossover proportions. 'Ether' represents another close brush with pop music, featuring a vocal suggestive of Wayne Coyne facing off against an uptempo electronic backdrop that's somewhere between disco and emo. 'Sleep Well' is a marked evolutionary step for Electric President, finding the core sound of the band developed to the point where the directness and immediacy of their debut has been imbued with something resembling maturity - but without any of the stagnation that word suggests. 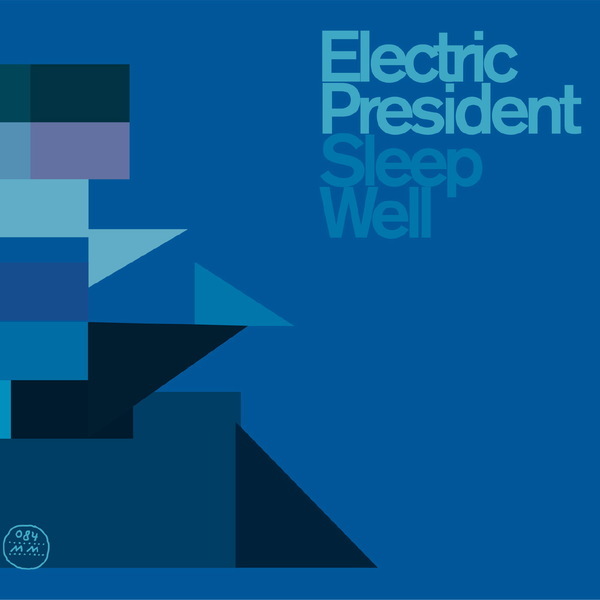 Electric President manage to shake off any electro-pop branding with this sophomore effort, sounding more complex and involving than they did previously, but thankfully they haven't forgotten how to write a good tune along the way. Highly Recommended.